Dr. Wolfram Hoefer is chair of the Department of Landscape Architecture at Rutgers, The State University of New Jersey. He also serves as co–director of the Rutgers Center for Urban Environmental Sustainability and is co–chair of the Sustainable Jersey Task Force that is addressing Brownfields issues. In 1992 he earned a Diploma in Landscape Architecture from the Technische Universität Berlin and received a doctoral degree from Technische Universtät München in 2000. He is a licensed landscape architect in the state of Bavaria, Germany. His professional experience includes employment in a Berlin landscape architecture firm and as a freelancer. His research and teaching focus is the cultural interpretation of brownfields as potential elements of the public realm. Further he is investigating the different cultural interpretations of landscapes by the general public in North America and Europe and how they have an effect on public participation processes as well as professional approaches towards planning and design solutions for adaptive re-use of brownfields. Dr. Beth Ravit spent over two decades as a corporate executive before entering graduate school and earning her Masters (2001) and Ph.D. (2004) degrees in Environmental Science from Rutgers University. She joined the Rutgers faculty in 2005 and is currently an instructor in the Department of Environmental Sciences at the Rutgers School of Environmental and Biological Sciences (SEBS), New Brunswick, NJ. Dr. Ravit has taught undergraduate and graduate courses in Environmental Science and Microbial Ecology at Rutgers. Dr. Ravit has successfully lead scientific and design teams working on wetland restorations in the Hackensack River watershed. Her specific focus is rehabilitation of the Hudson-Raritan Estuary, with emphasis on the region's wetlands, and her research priority is the re-introduction of native Eastern Oysters to this urban ecosystem. Dr. Ravit is working in collaboration with NY/NJ Baykeeper at Naval Weapons Station Earle to install up to 11 acres of Eastern Oyster reef. 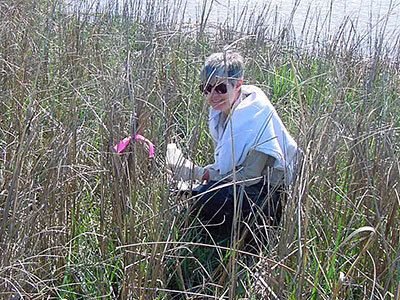 She is leading an interdisciplinary research team to determine the effect of this native species with respect to shoreline stabilization and protection from erosion and storm surges in the Hudson-Raritan Estuary. 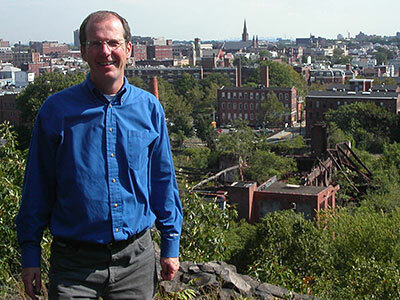 In 2006 Dr. Ravit co-founded the Rutgers Center for Urban Environmental Sustainability (CUES), a unique collaboration established jointly by the Departments of Landscape Architecture and Environmental Sciences. As co-director of CUES, Dr. Ravit collaborates and coordinates interdisciplinary teams composed of Rutgers faculty, staff, and students who participate in CUES research initiatives. She is also the primary CUES liaison with New Jersey's environmental non-governmental organization (NGO) community. CUES projects have included recovery of gray water from Meadowlands landfill leachate to irrigate a golf course, recycling of biosolid sludge at Western Monmouth Utilities Authority, and studies of bioreactor landfill processes at Burlington County Resource Recover Center. CUES is also collaborating with Sustainable Jersey and Dr. Ravit is the co-chairperson of the Sustainable Jersey Brownfields Task Force. This Task Force is developing Action Items for municipal Green Team volunteers to take that support the reduction and reuse of NJ's Brownfields inventory. Dr. Ravit also has extensive experience conducting public outreach through managed conferences, organized community meetings, and online surveys. 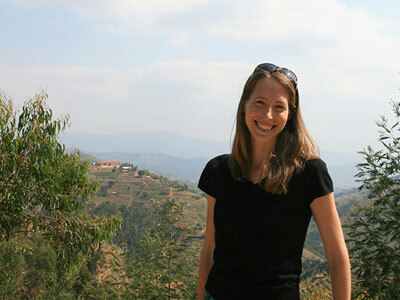 Angela Johnsen is the Project Coordinator at the Rutgers Center for Urban Environmental Sustainability (CUES). She earned her Bachelor of Science in Landscape Architecture from Rutgers University (2015) with a minor in Planning & Public Policy and a certificate in Community Sustainability from the Edward J. Bloustein School or Planning & Public Policy. Angela served as project manager for the CUES component of the 2017 New Brunswick Parks Action Plan, a collaboration with the Trust for Public Land to analyze existing park conditions and develop recommendations for the City of New Brunswick. She currently manages a variety of ongoing projects for CUES, including the first formal Bergen County Parks Master Plan (2018 NJASLA Merit Award winner), a Healthy Community study focusing on enhancing bike/pedestrian access and open space connectivity in Perth Amboy, NJ, and an environmental and economic demonstration study in the Hackensack River Corridor of Bergen County, NJ. Angela's primary design interests lie in partnering with communities to develop more vibrant, context-sensitive public spaces that balance human needs with economic sustainability and environmental stewardship. She has received numerous academic awards and was a national 2014 recipient of the Sigma Lambda Alpha Travel Grant towards independent research in Rwanda, East Africa. She has participated in placemaking charettes at the Project for Public Spaces in New York City and studied landscape architecture in St. Croix, USVI, and Northern Italy.